The practice and application of Integrated CranioSacral Biodynamics is to work with the underlying forces that oversee how we function. The focus of a biodynamic approach is to cooperatively and respectfully ‘employ’ these organizing forces for both diagnosis and treatment. This has practical implications for the way in which diagnosis and ‘treatment’ are carried out. 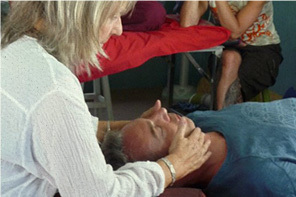 Integrated CranioSacral Biodynamics is a profound healing process which can influence the deeply held patterns of disease - both physical and psychological – which accumulate throughout life as a result of injury or illness and may be subsequently held in the tissues of the body, leading to ill-health and dysfunction. 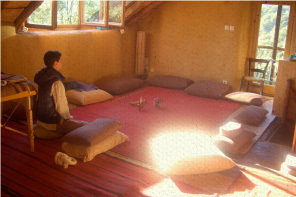 Applying a biodynamic approach has the potential to transform patterns of restriction and resistance at a very fundamental level, thereby stimulating an environment in which health may be restored. are an integral part of all study program presentations.